Can you believe we’re less than a week to 2018?? I hope you all had a very merry Christmas. With New Year’s Eve coming up fast I wanted to share a very simple and easy cocktail with you today, a Bellini Champagne Cocktail! It feels almost wrong to call it a cocktail because there’s only two ingredients-peach nectar and champagne! 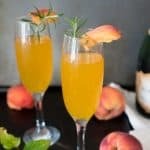 You can find peach nectar in the juice aisle at most grocery stores and I do recommend champagne over other sparkling white wines like prosecco for this. 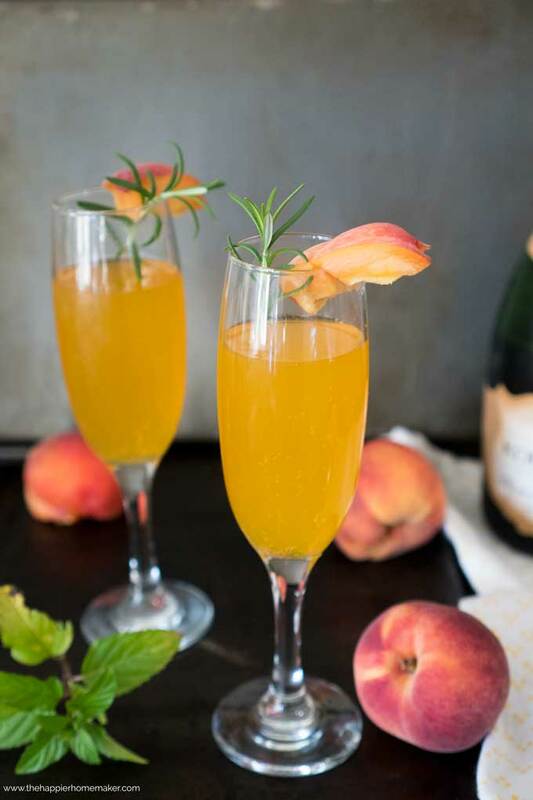 To make this delightful concoction simply mix one part peach nectar to two parts champagne. I like to garnish with a peach wedge and fresh rosemary to make this little baby look as good as she tastes! 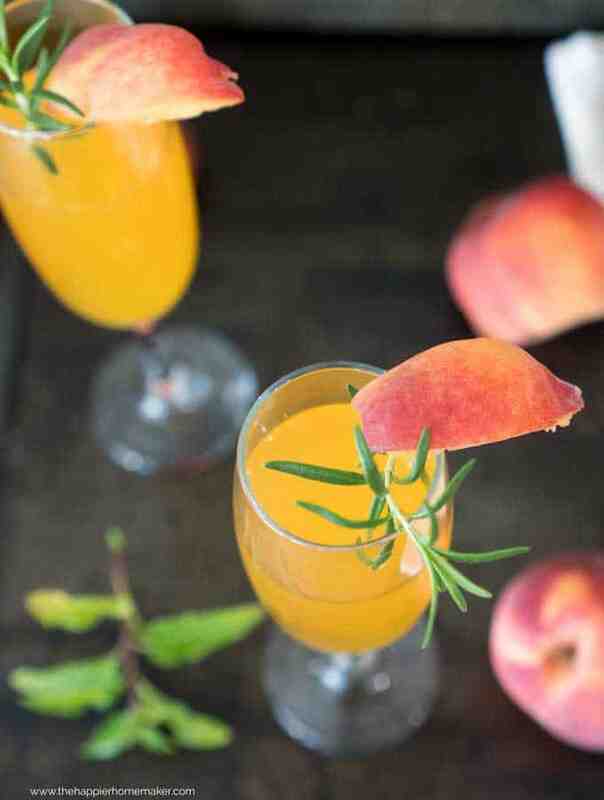 Change up your cocktail routine with this delicious Bellini Peach Champagne Cocktail. Mix peach nectar and chilled champagne in a flute. Garnish if desired and enjoy immediately! What are your favorite drinks to enjoy on New Year’s Eve? Let me know in the comments!